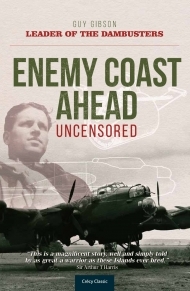 Enemy Cost Ahead Guy Gibson wrote this book while being rested from operations in 1944. 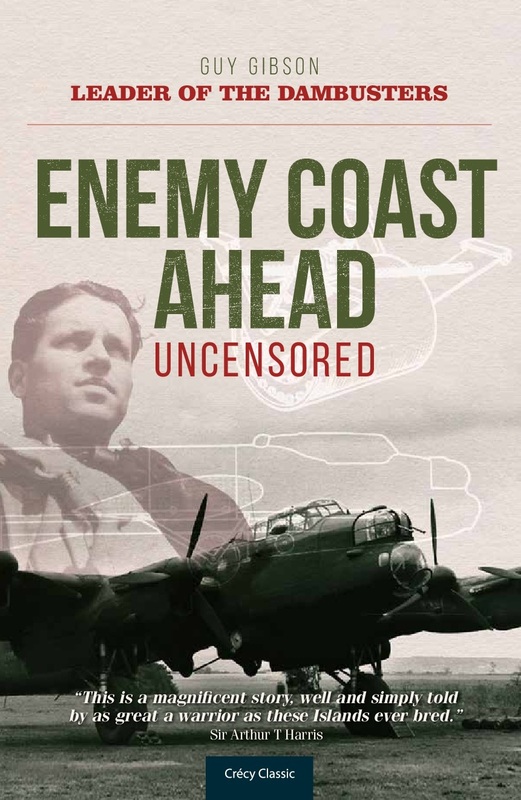 By then ..
First published in 1944, Enemy Coast Ahead combines Guy Gibson’s RAF career, including the famous Dambuster raid which he himself led, with the inside story of life in RAF Bomber Command and is still a riveting read for the immediacy and vibrancy of its writing. And yet, what has not been widely known is that the published edition of Enemy Coast Ahead was carefully cut by wartime censors. Now, Gibson’s original manuscript, which was archived for almost 75 years, has been be brought to light. This uncut edition provides not only previously unpublished details of Gibson’s career, but also reveals his true view of the course of the war, of the wartime population, of his pilots and crews and of Bomber Command tactics. Combined with newly added photographs and diagrams Enemy Coast Ahead – Uncensored remains one of the outstanding accounts of WWII seen through the eyes of one of its most respected and controversial personalities, but now allows the reader to know Gibson’s own story in his own words.